If in chapter one already discussed about the foundation for looking forward in SLTL, the purpose of this chapter is to focus research into a number of hypothesized relationships between Environmental- instructional factors and acquisition. A. Is Learning a Second Language Like Learning a First? “Although both the L2 and L1 learner reconstruct the language they are learning, it is intuitive to expect that the manner in which they do so will differ. Children learning a second language are usually older than L1 learners; they are further along in their cognitive development, and they have experienced a language once before”. Recent experiment in first language acquisition based on the work of Chomsky strongly suggest that a first language is “hard wired” into the brain; in the other words, that our first language is an innate endowment bequeathed to us by virtue of our membership of the human race. Some would argue that the jury is still out over whether learning a second language is like learning a first, I believe there is sufficient evidence to suggest that the two skills are fundamentally different, certainly insofar as syntax and phonology are concerned. In particular, at the perception of semantic and discourse relationships in written texts, and found a high level of agreement between first and second language readers. While the second language readers had greater overall difficulty with the text than the first language readers, in relative terms, those relationships that first language readers found difficult were also found to be problematic for second language readers, and those that the first language readers found easy were also found to be easy by the second language readers. B. What Is The Role of Chronological Age on The Acquisition of a Second Language? a. Starting age does not affect the route of SLA. Although there may be differences in the acquisitioned order, these are not the result of age. b. Starting age affects the rate of learning. When grammar and vocabulary are concerned, adolescent learners do better than either children or adults, when the length of exposure is held constant. When pronunciation is concerned, there is no appreciable different. c. Both number of years of exposure and starting age affect the level of success. The number of years’ exposure contributes greatly to the overall communicative fluency of the learners, but starting age determines the levels of accuracy achieved, particularly in pronunciation. Psycholinguistic have looked for evidence of the critical period in both first and second language acquisition. It has been argued (see, for example, Penfield and Roberts 1959) that the optimum age for acquiring another language is in the first ten years of life because it is then that the brain retains its maximum “plasticity” or flexibility (the plasticity metaphor, suggesting as it does that the brain is like a lump of plasticine that gradually hardens with age, seems a favored one among investigations of the critical period). The two hemisphere of the brain become much more independent of one another, and the language function is largely established in the left hemisphere. The critical period hypothesis argues that, after these neurological changes have taken place, acquiring another language becomes increasingly difficult. But, Ellis (1985) points out, it is only partially correct to suggest that acquisition as easier for young children. In fact, pronunciation is the only area where the younger the start the better. C. What Is The Effect of Instruction on Acquisition? The researchers found that, in fact, learner from very different first language background (for example Indonesia and Chinese) appeared to acquire a ser of grammatical items (or morpheme) in English in virtually the same order. From these investigations, researchers concluded that it was the nature of the language being learned, and not as had previously been thought, a contrast between the first and second languages, that determined the order of acquisition. Not one study showed that the so-called natural order could be changed through instruction. It was also found that knowledge of grammatical rules was no guarantee of being bale to use those rules for communication. Learners who were able to identify instances of rule violation and who could even state the rule, frequently violated the rules when using language for communication. Concious learning is identify in just memorize about grammatical. And subconcious learning is the first language/ mother tongue which we learn naturally. Input is used to describe the language that exposed to. It can be comperhensible by being simplier in structure and vocabulary. The comperhensible input is provided at a point where the learner needs it and is paying attention to the meaning in context. The learners experiences the benefits of both receiving input and producing output. Comperhensible output in meaningful interaction seems to be crucial factor in the learners development of L2 abilities. Based on Swain observations, she formulated an alternative hypothesis, which she called the “comprehensible output” hyphotesis, suggesting that opportunities to produce language were important for acquisition. It means both instruction and interaction are necessary for acquisition. The researcher argue that an item is only learnable, and therefore should only be taught, when learners are at the developmental stage immediately preceding that of the item to be learn. Acquisition refer to any number of grammatical items, and instruction refer to the many different kinds of instructional opportunities that teacher arrange for their student. D. What Is The Relationship Between Task Types/Modes of Classroom Organization and Acquisition? “Learning by doing”, language is acquire as learners actively engage inattempting to communicate in target language. Different types of language stimulate by transactional an interpersonal task. Transactional task is one in which communication accurs principally to bring about the exchange of goods and sevices, and interpersonal task is one in which communication occurs largely for social purpose. E. What Is Relationship Between Learning Strategies and Acquisition? Learning strategies are the mental and communicative procedures learners use in order to learn and use language. Learning styles are the general orientation to the learning process exhibited by learner. Cohen and Aphek (1980) looked at the effect of strategy training on vocabulary acquisition. They found that such techniques, such as the paired associate technique, did result in successful acquisition. O’malley (1987) studied the effect of different types of strategy training (metacognitive, cognitive, and socioaffective) on different language skills and found the training had a significant result on speaking but not in listening. It is widely accepted by teachers that such things as ethnicity, age, and other factor will have an effect on preferred ways of learning. One final finding of note was that learners could be categorized by type according to the pattern of their responses on the questioner. They are concrete learner, analytical, communicative, authority oriented. 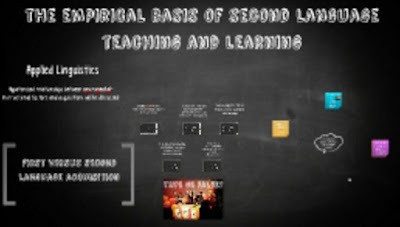 Learner type and their preferences are set out in table 2.3. What is the effect of learner strategy training on student motivation? What is the effect of learner strategy training on student’s knowledge of learning strategies? What is the effect of learner strategy training on the level of strategy utilization by students? What is the effect of learner strategy training on student’s attitude toward to use of strategies in language learning? Is there any correlation between conscious learning and sub-conscious? Conscious is focus on grammatical rules and Sub-conscious is focus on communicative or the function of language. What is the first language for us? Actually it depends on the area. Some area, especially in the city, the first language is Indonesia but in some places, especially in the village, they speak with their native language. What is the exactly the relationship between learning strategies and acquisition? Because of everyone has different acquisition, so that they have different learning strategy and the relationship is indirect.